Life insurance in estate planning needs a fresh look. Instead of assuming the use of an irrevocable life insurance trust (ILIT) as the default estate planning approach, we should instead look at it as one of many ways of implementing a life insurance strategy. In recent meetings, I’ve been discussing new dimensions in estate planning. Legal, tax, financial, and societal changes necessitate a fresh look at this planning, and a key new consideration is how we look at, and utilize, life insurance. I’ve posited the idea that we should stop talking about the irrevocable life insurance trust (ILIT) as an estate planning solution, and instead look at it as one of many ways of implementing a life insurance strategy. Instead of assuming the use of an ILIT, I suggest a new approach to life insurance planning I call the wealth conservation and protection plan (W-CAP). A W-CAP is a simple estate planning methodology designed to preserve the client’s estate both while alive and at death. Life insurance is the underlying product used in the W-CAP approach, but the policy can be used in a variety of ways. As will be discussed, an ILIT is certainly one strategy for owning the life insurance policy, but it’s not the only ownership approach. In the estate planning community, there has been some hand-wringing over the wisdom of some life insurance policies that were placed in ILITs. The debate was brought to the fore by the estate tax changes encompassed in the Tax Cuts and Jobs Act of 2017 (TCJA). Now that the individual estate tax exemption is an inflation-adjusted $11.20 million (at least until 2026), clients are asking why they can’t access the life insurance policies trapped in their trusts, and why they even need the life insurance in the first place. This is leading to requests for judicial reform of trusts, trust decanting, and even lapsing of trust-owned policies. Even before the TCJA, there was grumbling about ILITs. What I refer to as the “TOLI terrors” have been afflicting estate planning attorneys and corporate trustees for years. These advisors are concerned that trust-owned life insurance policies (TOLIs) aren’t performing as advertised. The policies need either more premiums than illustrated, a reduction in death benefit, or a reallocation of the underlying investment portfolio. For some trustees and/or attorneys, these troubled policies represent a source of potential fiduciary liability. Compounding the challenge is that it is difficult to explain to the client why more premiums are needed, while at the same time, the values in the insurance policy aren’t available for retirement income or to help with long-term care (LTC) expenses. Under current circumstances, the client may be more concerned with lifetime liquidity than possible estate taxes. Simply put, some ILITs are under fire both as to their utility and their risk. While we can question some of the histrionics we’ve seen from ILIT detractors, the underlying causes are understandable. Politicians have made such a big issue out of the “death tax” that prosperous individuals and families have gone to extremes to avoid the federal estate tax. There is little doubt that when transfer taxes are involved, ILITs are one of the best tried-and-true techniques for lowering the financial sting of these taxes. But now that estate taxes threaten a significantly smaller slice of the population, people are asking “why bother with an ILIT?” The technique severely limits the use of the life insurance policy for anything other than post-mortem needs, and it takes away the flexibility that is an otherwise positive aspect of the life insurance contract. So let’s take the debate off the table by approaching the issue from a different perspective. Let’s instead agree that in the estate planning context, life insurance is primarily a wealth conservation and protection tool. First, it helps conserve an estate by providing liquidity to pay taxes, pay debts, and fulfill family and business needs of the insured. Second, it helps protect an estate by offering a predictable and liquid source of capital when needed. As a non-correlated asset, it is available to shelter the estate from losses due to morbidity, mortality, and down markets. Further, if the life insurance has cash values, it can conserve and protect wealth whether that need occurs during life or at death. The question is how to choose and position the life insurance so as to maximize the advantages of the product in the client’s particular planning context. A Ferrari is a great car, but not if the buyer wants to use it for off-roading. A car lease works well as a financing strategy for a business owner, but may not be a good fit for a family wanting to buy a car for the long term. Choosing and positioning the product makes a difference in the value-add of the purchase. Consider how a life insurance policy can be chosen. Just like a car purchase, the consumer expects standard features but may desire certain add-ons to fit his or her unique situation. What are the standard features that every life insurance policy should have? Presumably the policy should provide an income-tax-free, liquid death benefit that is issued by an insurer with a solid financial rating. The policy should comply with both state and federal laws, and include standard nonforfeiture provisions. There may also be an expectation that the policy has features commonly enjoyed in modern-day insurance contracts such as a terminal-illness provision. Beyond these standard features, the advisor can both help the customer choose additional options, and determine an appropriate ownership strategy. What add-on features apply? It depends on the customer. I recall a car salesperson who fixated on the maximum speed of a proposed car. She was oblivious to the fact that I did not have the need for speed. This same dealer also lauded the manufacturer’s financing discount, even though I had indicated I intended to pay in cash. Similarly, the life insurance purchaser may not need, or want to pay for, features in a policy that will likely never be utilized. And even though there is a special way to position ownership of the policy, it may be moot if that particular purchaser obtains no benefit from the technique. Life insurance policies offer a myriad of riders and features, but their value depends on the client’s planning requirements. Why pay for disability waiver-of-premium when the insured is retired? Why purchase a policy with a chronic illness rider when the policy is going to reside in an ILIT? Conversely, why put the policy in an ILIT if the likelihood of incurring an estate tax is nil? Sometimes features and techniques with life insurance are solutions looking for a problem to solve. It’s time to change the order of the process. Particularly in the fast-changing world of estate planning, it’s time to take a new approach to planning with life insurance. The W-CAP concept is specifically focused on the use of life insurance in estate planning. It uses life insurance to conserve and protect family wealth, whether during life or at death. The key feature of the W-CAP concept is it recognizes multiple estate planning uses for life insurance. It’s not just about estate taxes. So, while an ILIT is the primary ownership approach for avoiding estate taxes, it is not a useful approach in, for example, providing lifetime access or liquidity. In these situations, there are other ownership approaches for life insurance, including having the policy owned by the insured, a revocable trust, the spouse, or the children. These approaches may be better ways to conserve and protect a particular estate. The W-CAP’s four-step process focuses on what are the most important uses for the life insurance in the estate plan, and then places the ownership of the policy accordingly. Liquidity at death for other needs, such as a buy-sell agreement, survivor income, etc. Choose the life insurance policy that best matches up the policy features (Step 2) with the primary estate planning priorities (Step 1). In other words, select a policy with provisions that can most effectively fulfill the top estate planning goals for the life insurance. This is an area where the advice of a life insurance professional is particularly important. The point of the W-CAP approach is that life insurance in estate planning is focused on conserving and protecting an estate. An LTC rider may or may not be needed; a trust may or not be required—it all depends on the needs of the client. Using the four steps above will help both determine the appropriate insurance product, and select an ownership strategy to fulfill the primary planning needs. Consider the following two examples of the use of the W-CAP approach. One is in a high-net-worth family situation, and the other involves a more moderate estate. Ruby’s primary concern is being able to create inheritance equalization. Since she has given the business to her one daughter, she wants to provide a comparable inheritance to her other children. Because of her wealth, though, she has another pressing concern—having sufficient liquidity for her estate to pay an expected estate tax. In order to accomplish her two primary goals, Ruby needs a large life insurance policy. The death proceeds can provide both an inheritance to the two nonbusiness children and a fund to pay the estate tax. Since there’s no way to know when Ruby will die, a large, fixed-death-benefit life insurance policy will provide an uncorrelated asset that is available exactly when needed, irrespective of where the market is at that time. Ruby has significant wealth, and her need for life insurance is permanent. She chooses to utilize a single life universal life policy. The premium payments will be enough to guarantee a fixed death benefit. The policy will be applied for, and owned by, an ILIT. At Ruby’s death, the ILIT receives the proceeds, and uses them for two purposes. First, it will pay out inheritances to the two intended children; and second, it will provide liquidity to lend money to, or buy assets from, the estate. This will give the estate the liquidity it needs to pay the estate tax without having the policy proceeds included in the gross estate. Francie and Bob have a projected $3 million estate, and they want to make sure that if they’re not around, their special-needs adult child will be cared for. 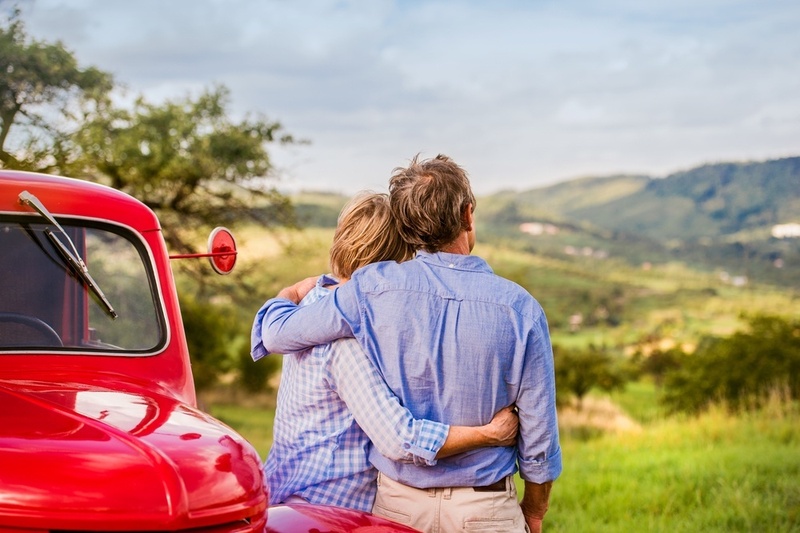 The couple has completed their financial planning in anticipation of an eventual retirement, and part of their plan has identified estate planning needs. An advisor has suggested life insurance to help with several of their planning needs. Applying the W-CAP approach, the life insurance strategy used for this couple is quite different than for Ruby. Francie and Bob are primarily concerned with providing liquidity for their child, but they want to do it in a manner that qualifies their child for continued government programs and benefits. They are, however, also concerned with the possible adverse effect on their estate plan if one or both of them are confined to a long-term care facility for an extensive period. They do not want their estates exhausted by the expenses of a long-term care incident. This couple’s liquidity need can occur at either death or upon a long-term care event. Further, because the policy will require cash values to accomplish their long-term care need, the insurance product should include features that provide both guarantees and upside potential. Cash value growth is a core consideration in choosing the policy. Francie and Bob decide to each purchase an individual indexed universal life policy with a long-term care rider. They will use some of their ongoing wages to “overfund” their policies, with the intent that policy premiums will no longer be required after they retire. These policies will provide liquidity in the event of either a death or long-term care event, thereby accomplishing both of their top priorities. In order to access the long-term care benefits that may be payable, they will own their life insurance policies individually. Since estate taxes are not likely an issue for them, the individual ownership strategy works better than an ILIT to conserve and protect their estates. The primary beneficiary of each policy will be the surviving spouse. If that spouse predeceases the insured, the proceeds will be payable to a special needs trust for the benefit of their child. In both of the above scenarios, the W-CAP helped identify needs, create a solution, and apply a strategy for implementation. There is nothing magical about the W-CAP approach. It is simply a disciplined way to do life insurance planning in an estate planning environment. It puts the need before the solution, and the solution before the ownership strategy. An added advantage of a W-CAP is that where an ILIT is actually needed, the process helps justify the concept’s use. Those attorneys who have “TOLI terrors” will more likely buy in to an ILIT structure when they realize it addresses the client’s primary goals. Hence with Ruby from scenario 1, the W-CAP process helped position the legitimate need for an ILIT to own the policy. Conversely, a W-CAP helps avoid the overzealous use of the ILIT structure where estate taxes are not in play. With Francie and Bob in scenario 2, the process helped identify suitable products and then place them in an appropriate ownership position. This post was originally published in the Journal of Financial Service Professionals 73, No.2 (2019): 32-36, copyright 2019, Society of Financial Service Professionals. Steve Parrish, JD, RICP, CLU, ChFC, RHU, AEP, is the co-director for the New York Life Center for Retirement Income Planning at The American College of Financial Services. He is also an adjunct professor at both The American College and Drake University Law School.